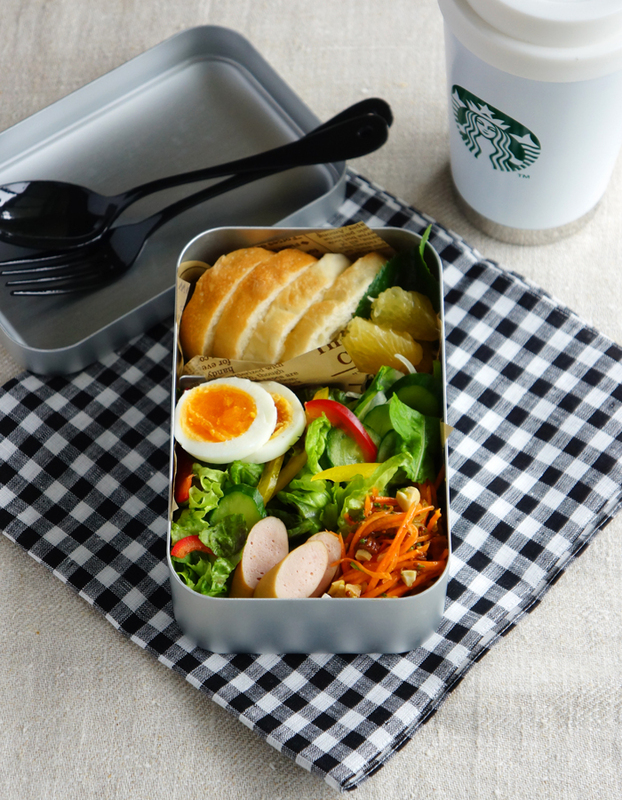 This is one of my favorite pack-and-go healthy lunch…bread and salad. Just cut bread into bite-sized pieces and make salad. You can use whatever veggies in your fridge for the salad though, be sure to use a salad spinner for removing excess water from greens. 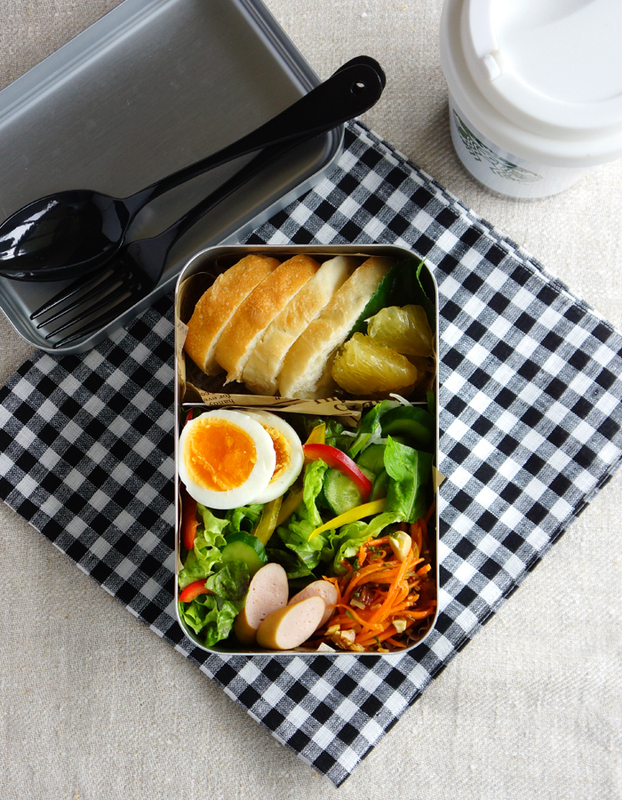 I lined the bento box with a piece of waxed paper for protecting the bread soaking up moisture from the salad.